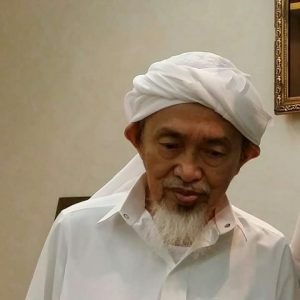 The world of Sunni Islam earlier on today lost one of its great hidden gems from the sacred city of Mecca, namely the Ba Alawi Sayyid famed for his high isnad and hadith scholarship: Habib Hamid bin Alawi bin Salim bin Abi Bakr al-Kaf. 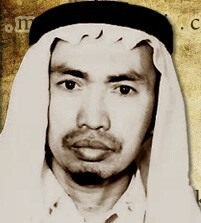 Habib Hamid was born in the village of Kalayan in Sothern Kalminatan in Indonesia on the 25th of Shaban in 1345 Hijri (1927 CE). He was however of Hadrami ancestry via the Ba Alawi Sayyids of the al-Kaf family. He was raised in a home of piety and knowledge under the care of his father, his mother having passed away when he was young. He undertook his primary studies under his father and then joined the government school of his area where he completed the different levels of study at the time. In the year 1360 hijri he joined the Madrasah al-Khayriyyah where he studied for 3 years taking from scholars such as: Shaykh Umar Ba Raja, Sayyid Salim Aqil and others. Thereafter he returned to Banjar Maseen and joined the institute named Dar al-Salam al-Diniyyah in Martafura and took from the scholars there such as: Shaykh Muhammad Sharani bin Arif, Shaykh Hussain Qadri, Shaykh Abd al-Qadir Hasan and others. 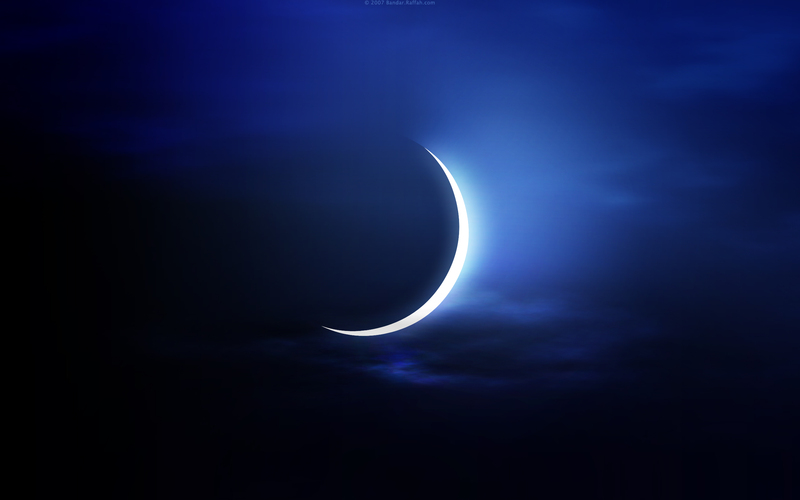 In 1367 hijri (1948 CE) he made the intention to travel to Mecca for performing the Hajj and thereafter seek residence in the Holy City to seek knowledge. After his arrival he studied in the circles of the scholars of the Masjid al-Haram for a period of four years after which he joined the Dar al-Ulum al-Diniyyah in 1371 hijri and graduated in 1374 hijri. He then began his teaching career and taught fiqh, usul, hadith, Arabic grammar, astronomy and other sciences such that he became known as one of the scholars of the Masjid al-Haram. Habib Hamid was honoured to teach in the Masjid al-Haram near the Bab al-Mahkamah from the year 1374-1399 alongside lessons in his home. 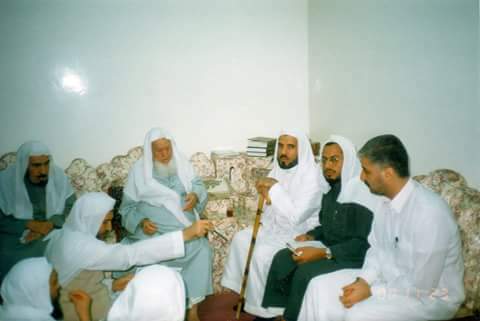 He also taught for a number of years in Shaykh Muhammad Yasin al-Fadani’s school in Mecca, and upon Shaykh al-Fadani’s passing away took over his weekly lesson in his home which ran until now. Some students with the Karima al-Marwaziyya Foundation in the town of High Wycombe in the UK came to know of Habib Hamid al-Kaf over the last few years but were unfortunately unable to meet him due to inability to travel and Habib Hamid’s moving home and thus being difficult to locate when some students visited the Hijaz a few years ago. 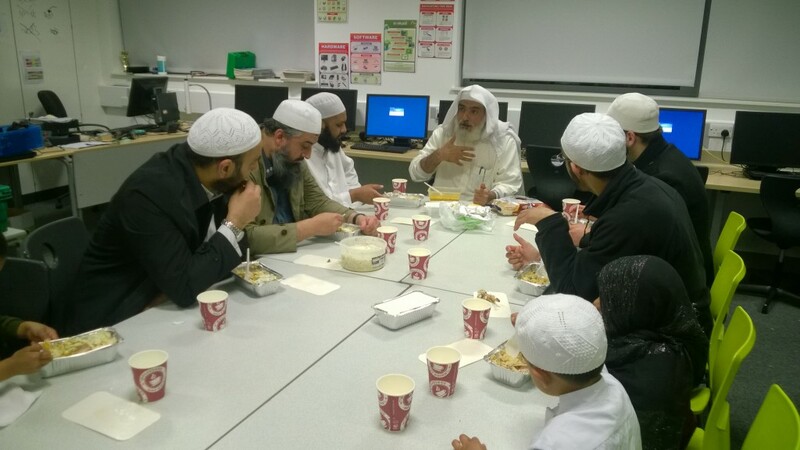 These students in the UK were however were able to benefit from scholars who took directly from him such as Shaykh Tariq Sardar and Shaykh Khalid Turkestani from Mecca. The latter this last Ramadan (2015) specifically narrated to us rare musalsalat narrations from Habib Hamid to be transmitted to us. He also gave to us the Mudd vessel from Habib Hamid for us to keep in High Wycombe along with the ijazah for the vessel. Students in High Wycombe did request an ijazah directly from Habib Hamid, however he requested that students visit him in person for this honour. 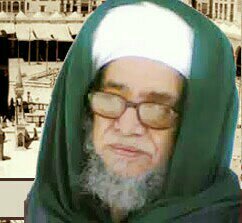 Habib Hamid al-Kaf’s funeral was prayed today after Isha in the Masjid al-Haram, after which he was taken to be buried in the Maala graveyard in the enclosure specified for the noble Ahl al-Bayt. The picture above is of a blessed gathering which took place in the Midlands in the month of Ramadan wherein the Jaliyat al-Kadr regarding the martyrs of Badr was recited with a chain of transmission back to its author. Visible in the picture is our teacher Shaykh Khalid Turkestani from Mecca who was visiting us for a few days in the UK and agreed to read this poem with us with his chain of transmission. Shaykh Turkestani narrates this poem via his teacher Sayyid Muhammad bin Alawi al-Maliki by way of recital and also possesses other chains back to the author by way of ijazah from his teacher Shaykh Muhammad Yasin al-Fadani. JazakAllah Khair to the Karima al-Marwaziyya Foundation for organising this trip for Shaykh Turkestani, the Olton project for being generous hosts for this event and Manaqib productions for their translation and publication of the Jaliyat al-Kadr and facilitating the reading from the idea of its inception to its completion. God have mercy on Sh Abd al-Rahman al-Mulla, (pictured here in the centre in a blue garment) who passed away on this day (27 Shawwal) in 2001 aged 98 years old. I believe there is a biography of his on this website, but to summarise he studied in his native Ahsa, Mecca and Madinah in his youth. We are fortunate to narrate some musalsal hadith from him via his nephew Shaykh Yahya al-Mulla. As mentioned elsewhere on this site, the evidence based method of teaching fiqh has seemed odd to me and radically different to the way other madhabs are taught in institutes of traditional learning. Some people who seem to know nothing of fiqh except their understanding of it being the “weighing up” of evidences and following the “stronger opinion” may be puzzled to find endless pages of classic fiqh commentaries with the odd mention of an evidence. They may also scoff at any rebuke of the contemporary “I am a Hanbali who does tarjih of the strongest opinion” which seems to be prevalent in Saudi. I have detailed this elsewhere on this site and prepared a small powerpoint on this which I may upload soon inshAllah. [Suffice it to say, Imam al-Shawkani’s Salafi commentary entitled Sayl al-Jarrar on a Shia Zaydi fiqh text sums up nicely what I am referring to]. I was therefore pleased to find the following passages in a work on the scholars of Najd by Shaykh Aal-Bassam (cover above) which succinctly highlighted the differences in approach to fiqh which came in to vogue after the emergence of Shaykh Ibn Abd al-Wahab. He also mentioned the existence of other schools of fiqh in Najd in the not too distant past, and the existence of many scholars of Najd who opposed the movement of Shaykh Ibn Abd al-Wahab. From the time that we first know about the scholars of Najd until the appearance of Shaykh Muhammad bin Abd al-Wahab (Allah Most High have mercy on him), scholarly knowledge was primarily limited to fiqh, meaning the subsidiary matters of fiqh. The predominant madhab amongst them was the madhab of Imam Ahmad bin Hanbal (Allah be pleased with him), along with the existence of others from the schools of the four Imams, except that the majority was that of the madhab of Imam Ahmad. Scholarly knowledge – regardless of the different madhabs – did not usually extend beyond comprehensive understanding of this field of knowledge. Thus their engagement with the knowledge of Tafsir, Hadith and Tawhid was extremely limited. As for the sciences related to language, they did not concern themselves with them except for the science of Nahw and its concise works from which they learned that which was sufficient to rectify their language from grammatical mistakes. As for the Fiqh of the madhab of Imam Ahmad, then they had gained a complete mastery over it and paid significant attention to it, such that they taught its books in a detailed manner and researched its issues in a comprehensive and intricate way. When the call (dawah) of Shaykh Muhammad bin Abd al-Wahab spread then this approach (ittijah) changed, with a greater variety in the intellectual culture and increase in sciences. Thus the primary focus became Tawhid not least the Tawhid al-Uluhiyyah, along with attention being paid to the Salafi books of Tafsir such as Ibn Jarir, Ibn Kathir, al-Baghawi and their like. There was a focus on hadith and its central works and commentaries. Likewise the principles of these sciences were taught. 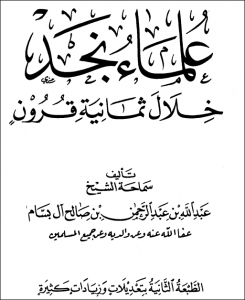 The attention in fiqh – the subject of the lesson being the fiqh of Imam Ahmad bin Hanbal – was that if the well known position of the school (Mashur) was weak and another view (in the school) was more correct, then the preferred view taken was which was supported by the evidence from the Book and the authentic Sunnah, meanwhile not going outside of the positions of the other Imams or some of them. 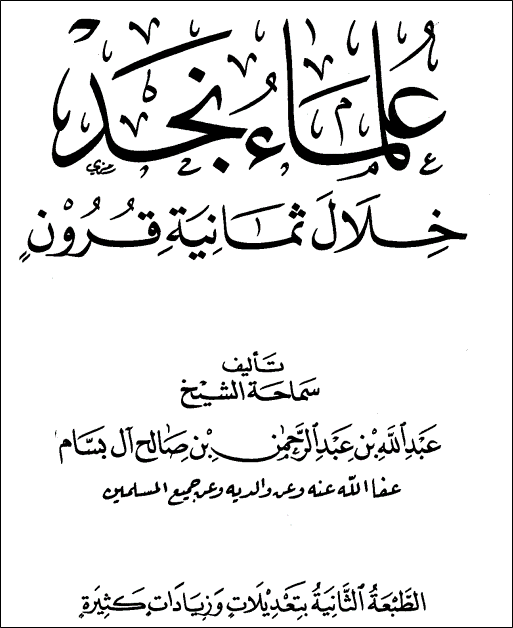 If you wish to compare between these two periods in relation to the research of matters of knowledge, then compare between the Fatawa of the scholars of Najd, some of which were copied by Shaykh Ahmad al-Manqur in his collection (Majmu’) and between the Fatawa which are compiled in Durar al-Saniyyah. You will see that in the first they confine themselves to the well known position (Mashur) of the Madhab, attempting to apply their answer in conformity with that which had been stated by the Hanbali jurists, free from citing evidences from the Book and the Sunnah. As for the Durar al-Saniyyah, you will see that their Fatawa are sourced from the madhab of Imam Ahmad (Allah have mercy on him) except that they are mentioned alongside their evidences in the Sacred Law. Likewise you will find that they may go against the well-known position of the Madhab when the authentic evidence conflicted with the Madhab…the point is that the intellectual culture between the first and second time periods had changed. Before the emergence of Shaykh Muhammad bin Abd al-Wahab and the unification of the country and centralising of education policy, all the four madhabs existed in Najd, except that the widespread madhab in it was the Hanbali madhab. The people of al-Kharaj on the other hand were predominantly upon the madhab of Imam Abu Hanifah and al-Shafii. From their scholars was Rashid bin Khanin al-Aidhi by way of lineage and Hanafi in madhab, a contemporary and opponent of Shaykh Muhammad [bin Abd al-Wahab] and his dawah. In this book of mine I have written biographical entries for many scholars who opposed the Salafi dawah which was revived by the Islamic leader, reformer, Imam Muhammad bin Abd al-Wahab. 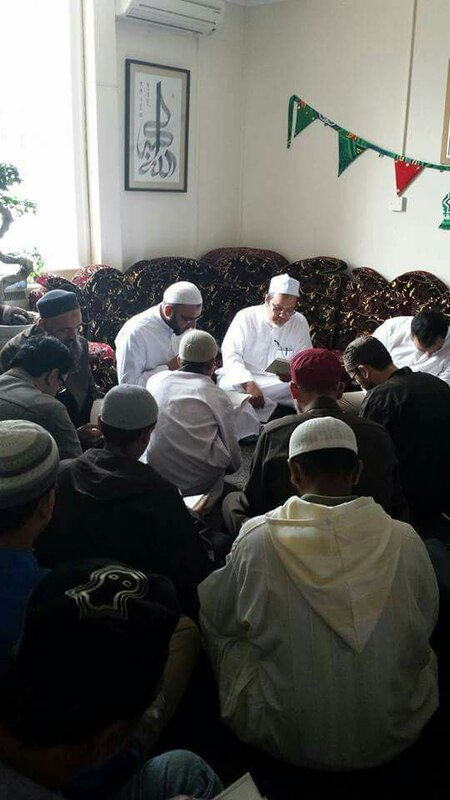 This picture is taken from one of the senior most Hanafi scholars of the Arabian Gulf – Shaykh Yahya bin Muhammad bin Abi Bakr al-Mulla – on his visit to the UK a few months back, where he taught Qawaid al-Fiqh according to the Hanafi school as well as other subjects including transmitting narrations of his teachers in hadith. Last Ramadan when Shaykh Khalid Turkestani from Mecca visited the UK to teach in Ramadan, he taught us the following dua at the time of Iftar. He mentioned that he learnt it from his teacher Shaykh Muhammad bin Alawi al-Maliki when the Sayyid and his students would sit together to break the fast, repeating the basic formula of this dua together for some time preceding the iftar itself. Sh Turkestani kindly sent the following recording as a reminder of what to recite, which I have attempted to transliterate and quickly translate to give an idea of the meaning. Today I cam across this picture of Sayyid Ibrahim al-Khalifah (Allah Most High protect him) from al-Ahsa returning back to Saudi Arabia after his reading of Sahih Muslim with students in Turkey. To his right is visible his Shaykh Abdullah al-Khatib along with a number of his colleagues. Shaykh Abdullah al-Khatib is remembered by many students who attended the month long Rihla course in Nottingham in 1997 where the teaching line up consisted of Shaykh Nuh Keller, Shaykh Abdullah al-Kadi, Shaykh Hamza Yusuf, Shaykha Besa Krasniqi and some other supporting staff. Shaykh Abdullah’s voice is still etched in the memories of many students, and we pray that we can once again benefit from his recitation of the Quran and rendition of Qasaid in the near future on the British Isles. Side note: Sayyid Ibrahim al-Khalifah mashAllah has a strong circle of students in his native al-Ahsa, a number of whom are young upcoming scholars in their own right. His circle of students are very active in teaching the Shariah sciences with a focus on the school of Imam al-Shafii. I was fortunate enough to attend the opening lesson of the reading of Sahih al-Bukhari in 2007 in al-Ahsa which was attended by a large number of his Ahsai students. Please find uploaded below (at the end of the post) a brief text on Musalsal hadith which was compiled for the recent visit of Shaykh Yahya bin Muhammad al-Mulla. I believe it is the first text of its kind in the English language, and we pray to Allah Most High for the ability to translate further on this topic to enable students in the West to be able to linked to this academic legacy left behind by our ulema.